It is fascinating how sharply the foreign media have diverged in their coverage of the alleged ‘Sledgehammer’ plot. For those of you not up to speed, the trial started yesterday, and you can read what I think is the best report on it at the Wall Street Journal. I have articles out for the Times and SETimes. This trial is one of the most significant to have taken place in Turkey in the past 50 years, and at the risk of sounding redundant, how the foreign press cover it is important to how the outside world perceives Turkish affairs. The issue that has split the coverage hinges on a series of inconsistencies and anachronisms within the documents that make up the alleged plot. ‘Operation Sledgehammer’ came to light after a suitcase of CDs, documents and audiotapes were given to the Taraf newspaper in January. One of the CDs contained a blueprint for a coup plot hatched back in 2002, including such sensational plans as the bombing of mosques to provoke an Islamic uprising that would create a pretext for a military coup d’etat. The CD was created on 5th March 2003, according to its metadata. However it contains references to several organizations and institutions that either did not exist at the time or else had a different name when the disk was supposedly created. This can only mean that the CD was not made in 2003, but much later. Someone faked the metadata (which is very straightforward to do) to make it appear it had been made earlier. This leads to an obvious question: Is the plot itself fake? Yet until very recently, remarkably few news organizations have even mentioned these anachronisms. On the surface of it, there’s a good reason for this. The people who have brought these inconsistencies to light are the son-in-law and daughter of General Cetin Dogan, the chief suspect and alleged mastermind of the plot. Dani Rodrik, a Harvard economics professor, and his wife Pinar Dogan, General Dogan’s daughter, have dedicated an entire blog to the inconsistencies. They’ve posted the indictment, along with a detailed presentation on the anachronisms. Prosecutors have not made public any evidence or details of the accusations, but the Taraf newspaper has published what it calls leaked copies of documents pertaining to an alleged conspiracy dubbed ‘Sledgehammer’… Unable to independently assess the evidence, Turks remain divided on the authenticity of the plot and the threat it may have posed. On the surface, this seems reasonable. The problem is that the indictment is widely available online from other places, including from sources strongly in favour of the trial and investigation. Once Turkish indictments are approved by a court, they routinely become publicly available. Analysts have cast doubt on other evidence, especially a series of anachronistic expressions in some papers, suggesting that some documents may be an outright fabrication. In one striking example, a colonel accused of having attended the seminar has said he was on an overseas duty at the time and that his middle name, which appears in the papers was not officially registered until 2007. Critics point also at a list of entities the coup plotters planned to control which features associations and hospitals that either did not exist or had different names in 2003. Many of the examples of anachronisms highlighted by Rodrik and Dogan are found not in the indictment, but addenda that are less readily available. However a significant number are verifiable without any reference to their documents at all. Some are reproduced verbatim within the indictment itself. Even more crucially, evidence for them exists in Taraf’s original reporting of the plot. The paper published a list of NGOs from the plan that were seen as solidly pro military. This originally included the staunchly Kemalist Turkiye Genclik Birligi. When someone pointed out within a couple of days of Taraf’s original reporting of the case that this organisation did not exist in 2003 (it was founded in 2006), the journalist, Mehmet Baransu, later clarified that this must have been a typo by the military. He explained that the coup plotters must have omitted a word, and were referring instead to Turkiye Genclik Birligi Dernegi, which did exist in 2003. I have to admit that I haven’t yet examined its website too closely, but if you have a look, I think you’ll agree that it doesn’t seem like an obvious candidate to provide the student muscle to back up a Kemalist coup. At a seminar I attended yesterday, some of this was put to Professor Emrullah Uslu of Yeditepe University, a defender of the case. His explanation was that the military must have continued updating lists of NGOs long after the entire plot had been shelved, something that he said was in line with their archiving policies. This doesn’t stand up (though I didn’t have a chance to ask him about it further) given that the CD’s metadata shows according to the indictment and a report by TUBITAK, that it was created in 2003, and so something was obviously faked at some point. What can we draw from all this? Even approaching these anachronisms (and there are apparently many, many more of them) as skeptically as possible, it is difficult not to conclude that there are serious doubts over the authenticity of key data relating to the plot. The Turkish media is so partisan that its reporting on this case isn’t of interest to me in this context, however I think it’s astoundingly irresponsible of international news organizations to ignore the issue in the way they have. The domestic reality is that none of this may matter much. In Turkey ideological positions are so deeply and passionately held that no detail, no matter how earth-shattering, can realistically change the political discourse on such a deeply divisive issue as the Sledgehammer trial. Kemalists will claim they knew all along that the plot was cooked up. Those who (quite rightly) believe Turkey’s military, as a political entity, must be smashed will simply dismiss these as lies and propaganda, or else claim they are mere details of limited significance within a wider context. The constituency of open minds is too small to make a difference and anyway, facts have little traction in a society in which people have an almost limitless capacity for conspiracy theorizing, and in which all sources of information are viewed with deep cynicism. But these observations regarding Sledgehammer and the fact that they have been so totally ignored for so long should, I believe, prompt serious questions about the way in which Turkey is presented abroad. The broad narrative peddled by journalists, analysts, and academics for some years now is that the AKP, whilst no angels, are a democratizing force. Their struggle with the military may not be pretty, but hey, this is what progress looks like in Turkey. I don’t question that since the AKP came to power Turkey has become a better country in a huge number of ways, many of which relate to the driving force of the EU accession process, and one of which is the clipping of the military’s wings. But when people use this narrative as a justification for ignoring serious problems they are failing to judge Turkey by the standards to which it publicly aspires. Turkey may be laying old demons to rest, but if it is summoning new ones in order to do this then that should be reported. I recently did an interview with Rober Koptas, the editor of the Turkish-Armenian weekly newspaper Agos, which has just appeared on SETimes. He spoke about Hrant Dink, Agos’ original editor who was murdered in 2007, as well as a range of other issues, not all of which made it into the final edit. Because he was very dangerous in the eyes of Turkish ultranationalists. He was always crossing the border: he was Armenian but not an “acceptable” Armenian as they defined, because the ordinary Armenian doesn’t have the right to speak, but he was speaking very loudly. 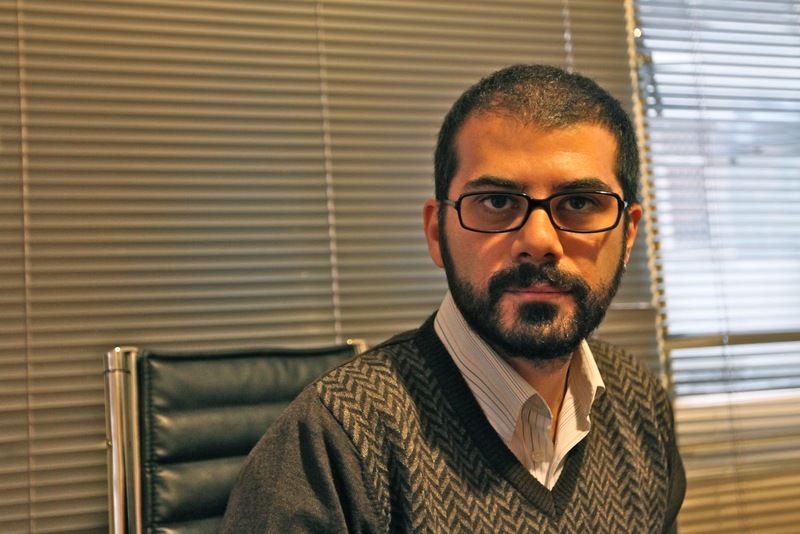 He was not an ordinary journalist: he was touching every critical issue of Turkey. He became a bridge between these ethnic groups — Kurds, Turks, Armenians — and he was a kind of model of a future Turkish citizen, I think, because he had strong ties with his culture and identity, but he also tried to understand Turks and Islam. Because of that he was a dangerous man and they knew that killing him could destroy a lot of positive things. 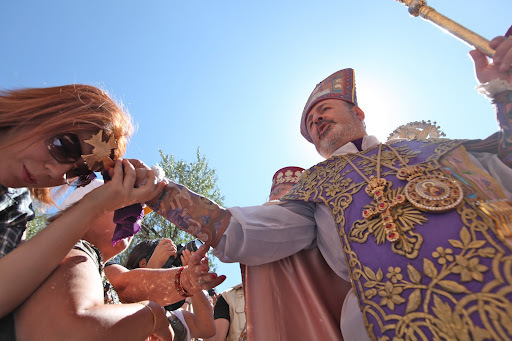 We have some problems with the Armenian Patriarchate of Istanbul because as the Patriarchate they are trying to use their force in some non-religious spheres. But we believe that only elected people can enter into that political area and the Patriarchate must remain in its religious sphere. This is a struggle between Agos and some Armenian groups in the community, and the Patriarchate. We believe that with the new Patriarch who has some democratic principles can help us improve this relationship between the Patriarchate and Agos. Before Hrant Dink’s assassination we had bigger problems with the disapora because they thought that Armenians of Turkey are tools of the Turkish state. They had a wrong perception about Turkish-Armenians, and only after Hrant Dink’s assassination they saw that Turkish-Armenians are trying to change Turkish society. Before that they couldn’t understand our attitude because the diaspora is always looking to the state and the Turkish state is not changing its attitude to Armenians. But we’re living in Turkish society and we can see that society is changing gradually. We cannot express this view to the diaspora. But now I believe they’re more aware of these facts. They’re at least understanding us better. On a related issue, Jenny White has an excellent piece out about a talk at Boston University by the Islamic philosopher, poet, intellectual etc, Tariq Ramadan. It is about the question of how people can claim Islam is egalitarian when it is used around the world to justify intolerance and patriarchy. Apart from anything, it’s a beautifully written piece – you really need to read the whole thing. I’m writing a lot at the moment about a draft nature protection law currently waiting to be debated in the Turkish Parliament that has disastrous implications for ecology in Turkey. I’m planning a longer post about the draft law itself, which is an appalling damaging piece of legislation. 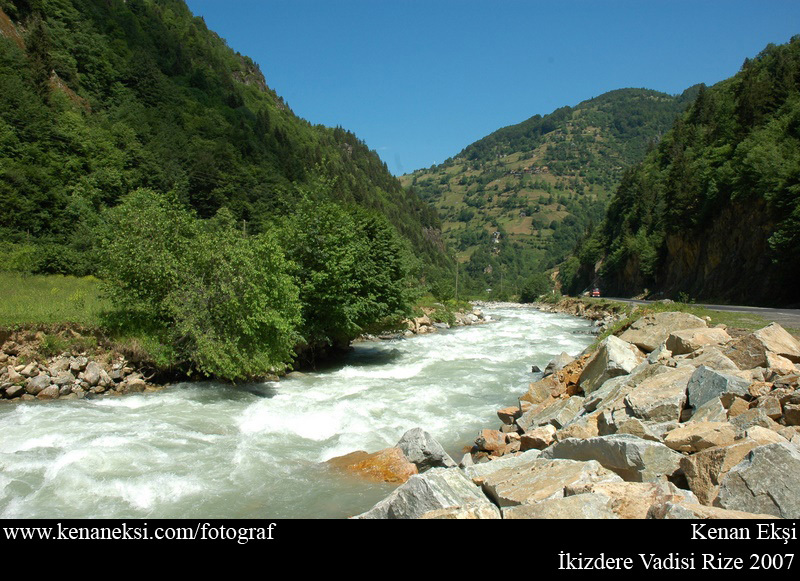 In the meantime, here is an article of mine that appeared last week on this issue at SETimes, and specifically on the battle being waged by ecologists and locals in the Ikizdere Valley in northeast Turkey to stop the construction of 22 dams. Turkey’s burgeoning population and economy are posing an increasing threat to its vast ecological wealth. The population is booming, with an average age of 28. Its economy — projected to expand by 7.3% this year — is the fastest growing in Europe, and second only to China in the G20. It’s wildlife riches are equally impressive. A major bird migration hub, and positioned at the meeting point of three ecological regions, the country boasts nearly as many species as the rest of Europe combined.